Mark Salmon came to Lake Tahoe in 1995 after growing up in Southern California. For nearly a decade he worked in the lumber industry in Tahoe and gained a huge knowledge of building materials and techniques for residential and commercial projects. He created lasting relationships in the building community with contractors of every expertise. It wasn’t long before he pushed up through the ranks to later become the highest grossing salesman in the West Coast for Meek’s Lumber Company. During his early years at the lumber yard, he met his future wife, Amber. Mark and Amber soon brought two daughters, Bailee and Morrison, into the world and family became their true driving force to becoming successful. Mark enjoys playing an active role in their children’s sports and activities, but feels especially fortunate to have had the freedom to be around them so much during their childhood. In late 2006, Mark joined Pinnacle Real Estate Group which was a new independent brokerage comprised of a collection of top producing teams with over 20 years experience in Lake Tahoe real estate. Since then, Mark has become an intricate member of the Pinnacle Team with consistent production in even today’s tough market. 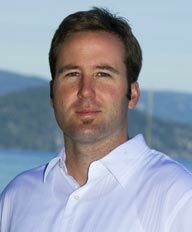 It doesn’t matter if its land, residential or a commercial project, Mark has dealt with all the nuances involved in the complex world of Tahoe real estate. His enthusiasm and wisdom of the real estate market will assure confidence in every transaction for both buyer and seller alike. "Mark Salmon provided exemplary representation in the recent sale of our Tahoe home. With the real state market in California in a constant flux, Mark used... continued"